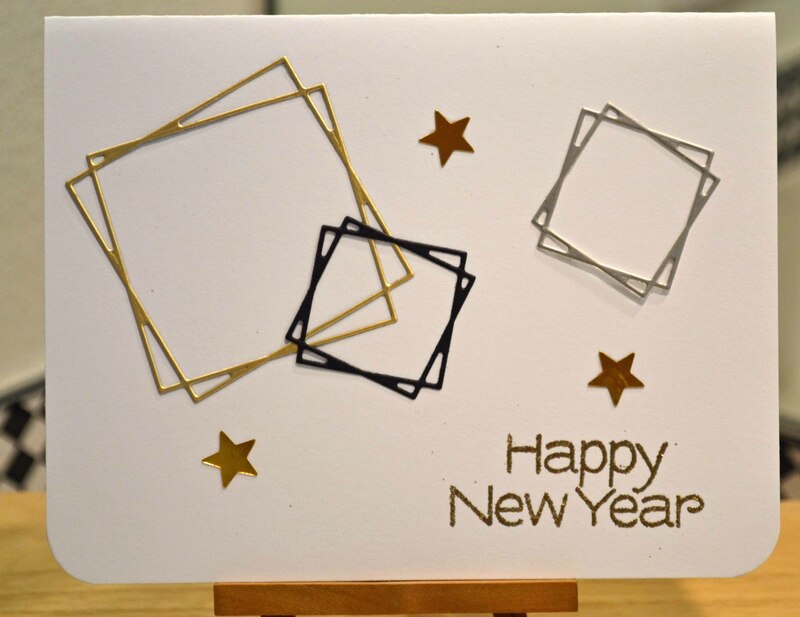 But, lucky for me, there’s always a second chance to send a winter holiday card for the … New Year! Thanks for stopping by, and Merry Christmas to all. For the holly sprigs, I stamped first in olive green ink, then added some white colored pencil. The sequins are from Doodlebug Designs. 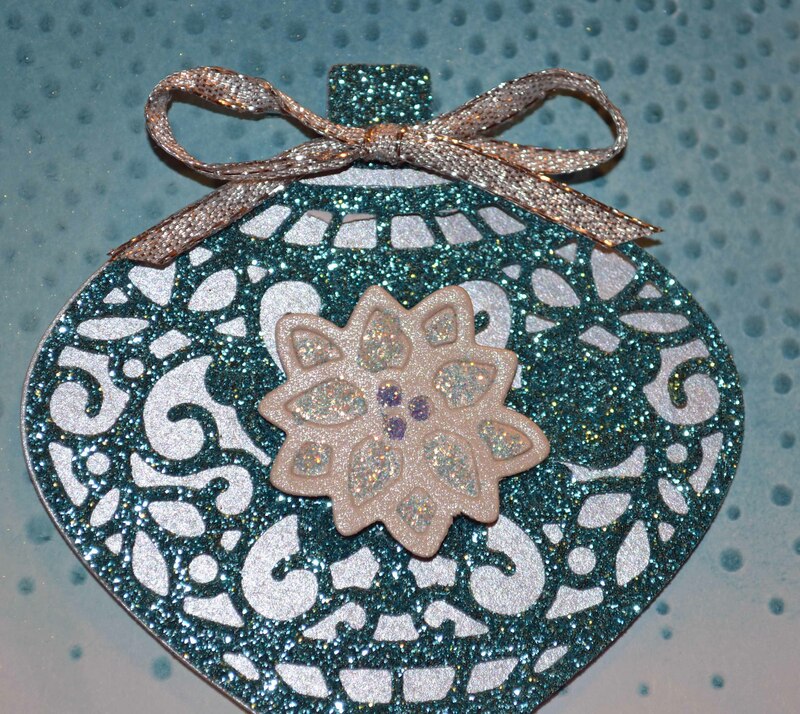 The ornament is die cut from an old greeting card using Stampin’ Up!’s Delicate Ornament set. (Diamond Stickles has been added to the petals, though it is hard to see here.) 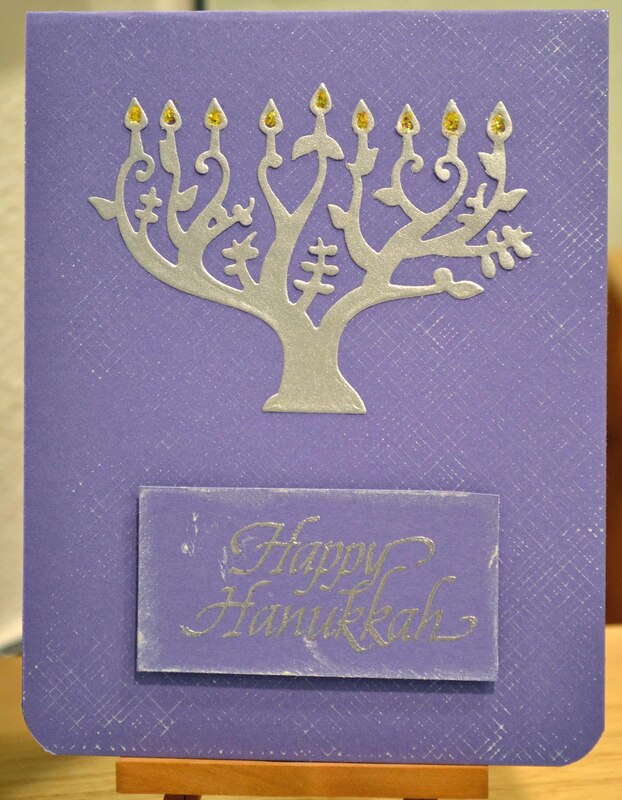 The sentiment, gold embossed and layered on gold paper, is from Stampin’ Up!’s Embellished Ornament stamps. 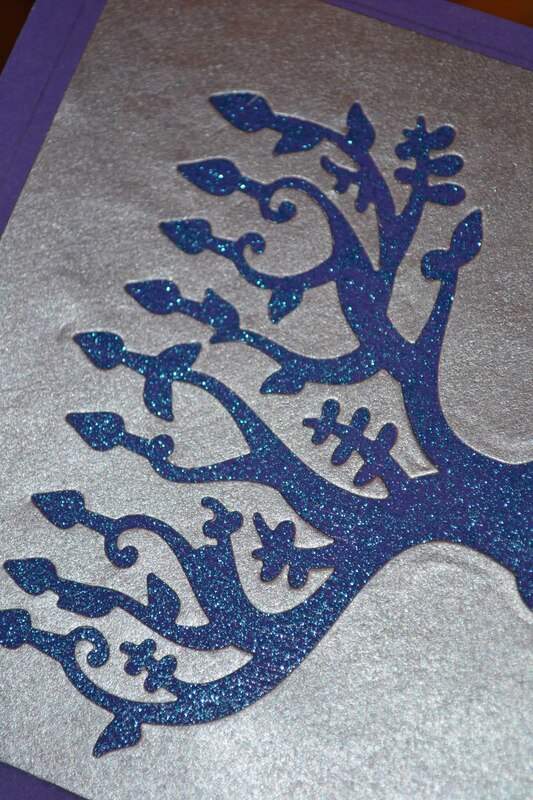 The background is embossed using Sizzix damask and regal Texture Fades embossing folder. I started here by die cutting the ornament from the plaid paper (Paper Source) and again from a scrap of white card stock, which I then heat embossed using Zing! gold glitter embossing powder. 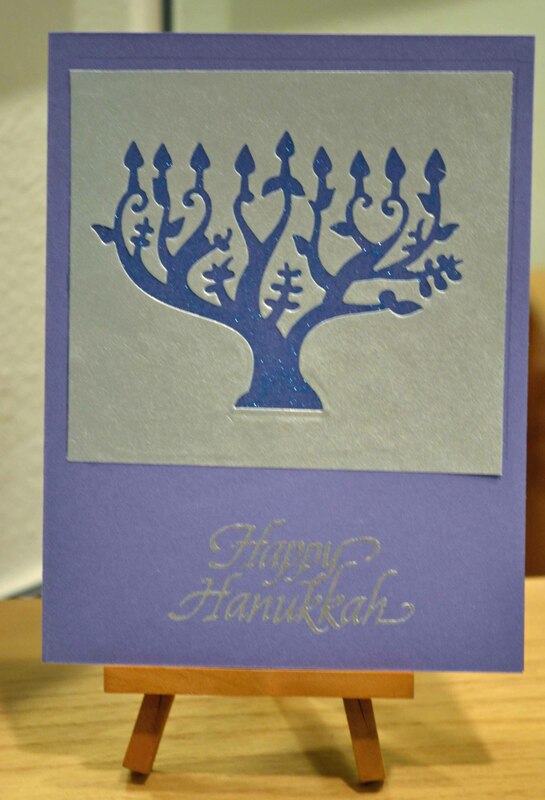 I mounted the plaid paper to a white card base, glued in the glittery ornament and added some Ranger red stickles. The sentiment (from (Stampin’ Up’s Embellished Ornaments stamp set, which matches some of the dies) was also gold embossed, layered and added using foam tape. Thanks for stopping by! But wait … there’s more coming …. And then I learned that I needed a precision cutting pad for these intricate pieces. And oh, what a difference that made! 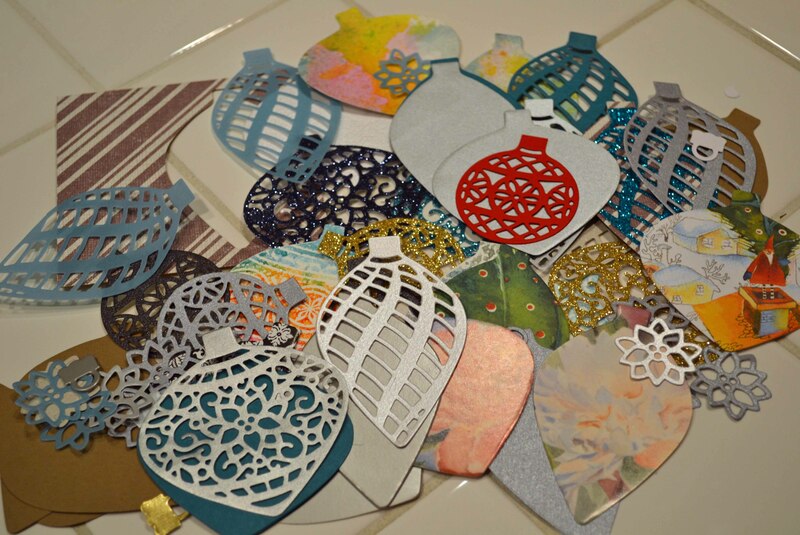 Stay tuned for more cards made with this ornament set. 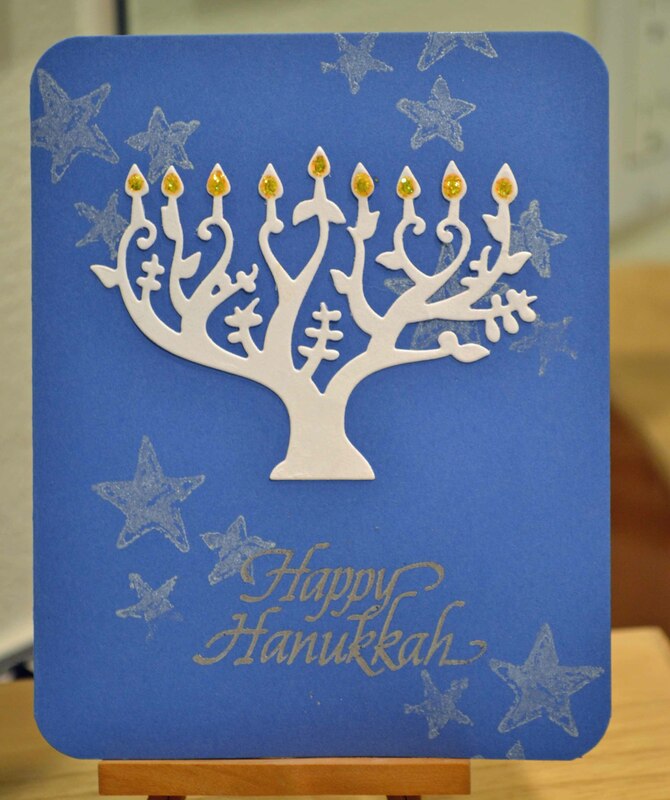 I cut menorahs from various white and silver scraps then built some fast card bases. For the blue card, I wanted a fast background, so I grabbed this old triple star stamp from Stampin’ Up! and stamped it a few times using a silver ink pad. A little Ranger Stickles for the lights on the candle and we’re good to go! 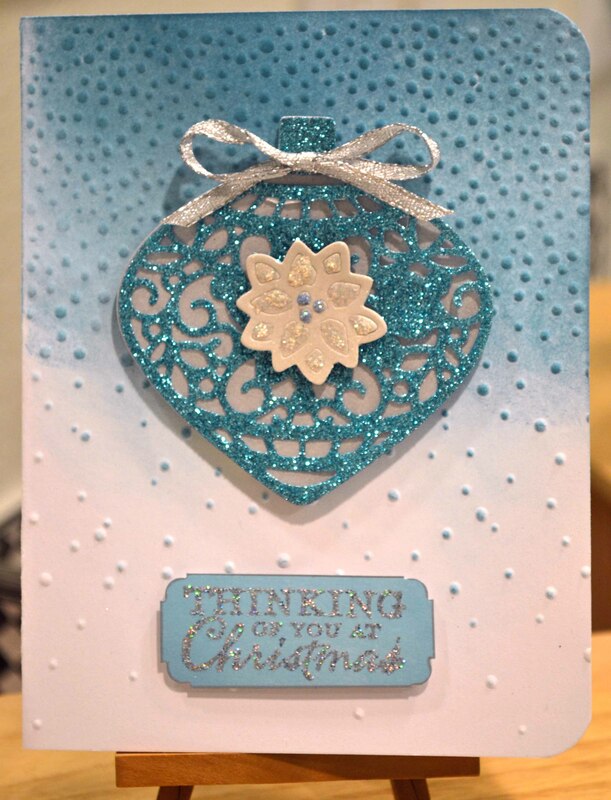 The background here is the envelope liner stamp from Hero Arts. The sentiment is also an old one from Stampendous.